Our new Iridescent Blue compression sleeve provides the same effective Body Helix compression you are used to, but in a metallic sheen, with a silky-smooth fabric that feels AMAZING on your skin. 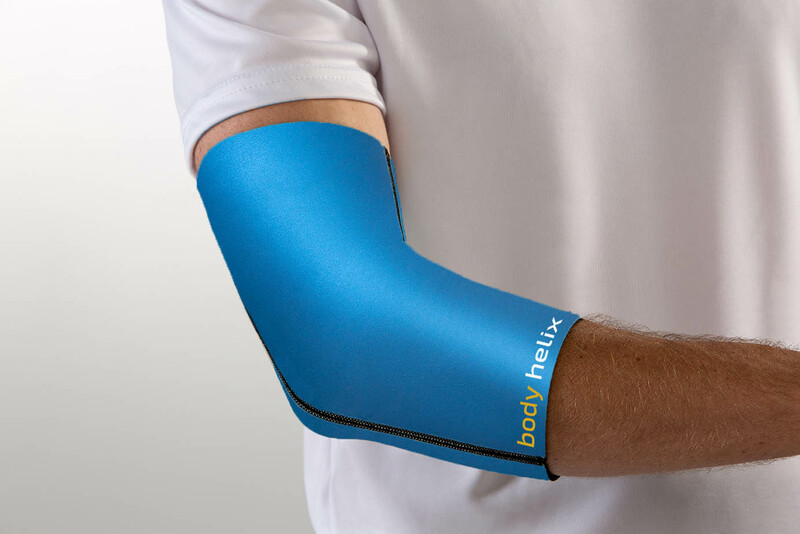 Full Elbow Helix: Ideal for tennis elbow, golfer’s elbow, forearm sprains, and elbow tendonitis. Full Thigh Helix and Thigh Helix: Ideal for management of thigh, groin and hamstring strains and sprains. Adjustable Sacroiliac (SI) Joint Helix: Ideal for those diagnosed with sacroiliitis, sacral or lumbosacral strain. Full Calf Helix: Ideal for individuals who have been diagnosed with calf strains, shin splints, or Achilles tendonitis. Full Knee Helix: Ideal full knee support Helix providing knee compression and comfort to the knee and collateral ligaments (MCL, LCL). Full Wrist Helix: Used for the management of wrist sprains and strains and for injury prevention in sports associated with repetitive activities. Biceps-Triceps Arm Helix: Used for the management of muscle and tendon injuries, commonly associated with bicep, tricep and arm strains and pain. Adjustable Back Helix: Ideal back compression brace to provide comfortable support and compression to the paraspinal and lumbosacral musculature helping to reduce spasm, fatigue and pain. 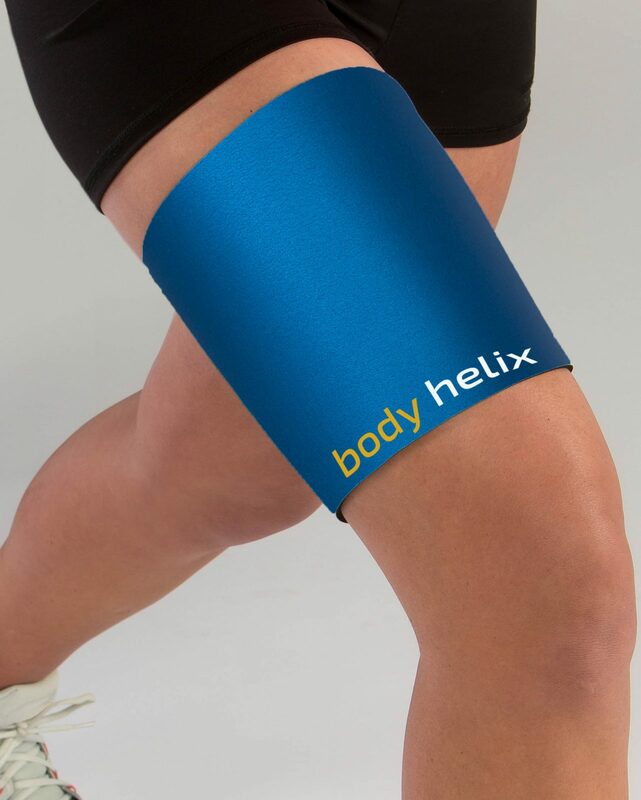 Patella Helix: Ideal for Patella Tendonitis or Runner’s Knee.